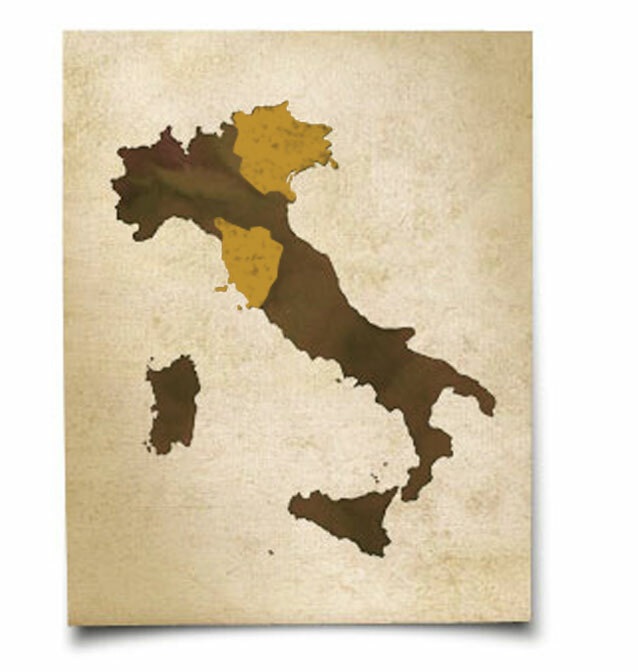 Region in central Italy home to numerous wine regions. Wine producing region of Tuscany. Was officially defined a winemaking area in 1716 by Cosimo III. In 1984 it received a Denominazione di Origine Controllata e Garantita (DOCG), the highest level of Italian government classification regulating growth of vines, production of wine and labeling of bottles. The entire Chianti region is classified DOCG. To be labeled Chianti, the grapes must be entirely sourced from any of the 8 sub-regions of Chianti and must be at least 75% Sangiovese. Territory on the western side of the Chianti region. Birthplace of Leonardo da Vinci and of Cantine Leonardo da Vinci which owns 1,236 acres of vineyards in the area. Area on the western side of the Chianti region. Some of the fruit for DaVinci Chianti is sourced here. Renowned winemaking area centered around the hillside town of the same name. Famous and acclaimed for its Brunello di Montalcino made 100% from Sangiovese. Cantine Leonardo da Vinci owns the region's only working cooperative which is located in Val di Cava, one of the most beautiful areas of Montalcino. The "Three Venices" Venices" that once comprised the Venetian Empire: Trentino-Alto Adige, Friuli-Venezia Giulia, and Veneto. It is this high altitude region where we source the fruit for our Pinot Grigio. Discover the history of this thriving cooperative.